Ever since Google announced that they would be killing off Google Reader, a number of companies have been working on an alternative, one of those is Digg and they have now revealed more details about Digg Reader. The Digg Reader will offer ways to sort and rank content, you will be able to sort content by popularity and more, the Sigg Reader will apparently be really clean and uncluttered and will offer speed and performance. 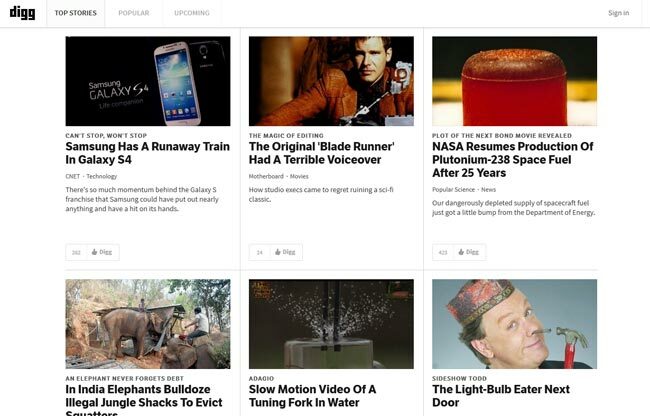 We are looking forward to see what the new Digg Reader is like, it certainly will have some competition as there are a number of other alternatives like Feedly and NewsBlur that are already great alternatives to the original Google Reader.